Michigan’s Dylan Bosch is the top seed in the 200 fly, chasing a four-peat of Big Ten titles in the event to close his stellar career at the conference level. The top two teams have started to separate themselves from the remaining squads, at least just through day 2 prelims. 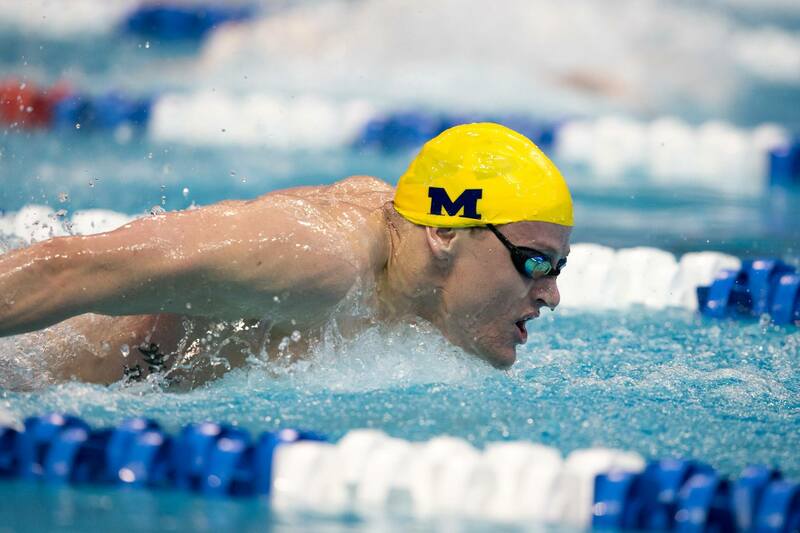 The Michigan Wolverines and Indiana Hoosiers each bring back 7 A-Final swimmers tonight, highlighted by the maize and blue capturing the top seeds in each of the events. Michigan’s PJ Ransford holds the top spot in the 500 freestyle, with Dylan Bosch the man to beat in the 200 IM, and Paul Powers ready to make his way into possible sub-19 territory in tonight’s splash n’ dash. 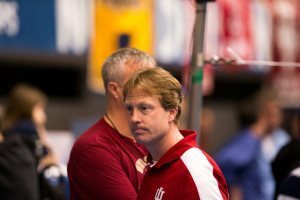 But, Indiana made a statement of its own, capturing 3 seeds right behind rival Michigan in the 200 IM, led by Ian Finnerty. Indiana also has a legit opponent to Michigan’s Powers in the 50 freestyle, with sophomore Ali Khalafalla roaring to a new Hoosier record in the event, stopping the clock at 19.30 this morning, his lifetime best by almost .2 of a second. Then add 1m Diving and the 400 Medley Relay tonight. 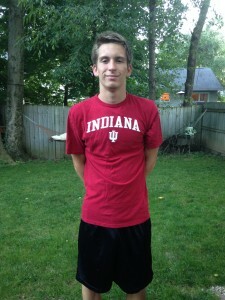 What swimmer conceded an IM spot? My guess is they believe they have a legitimate shot at winning the 400MR and want Tanner as fresh as possible for the breaststroke leg.